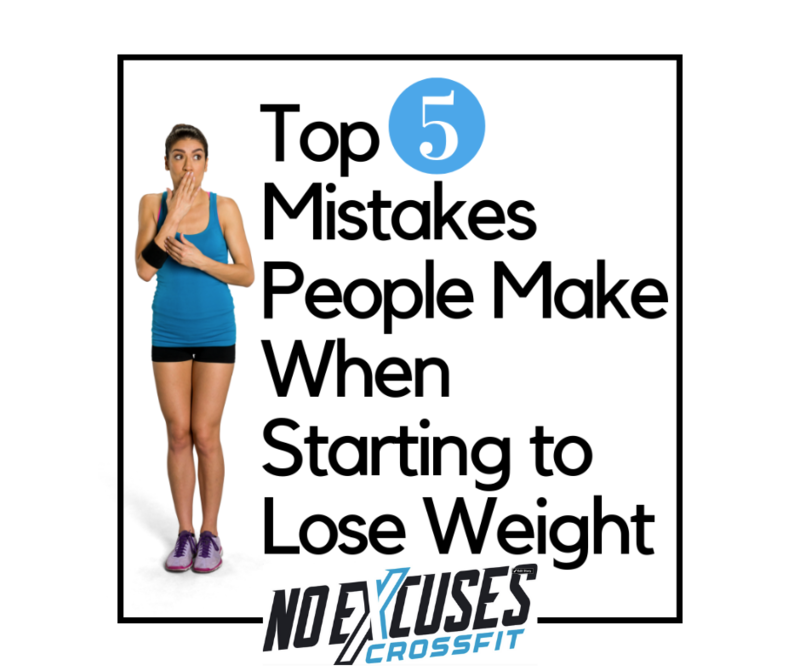 With this guide, we will help you prevent the 5 most common mistakes we see when people are trying to lose weight. 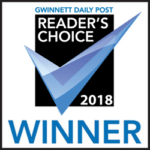 No Excuses CrossFit was established in 2008 with the mission to establish trust, provide inspiration and education through the strongest of health practices while building the athlete within; bettering lives one person at a time. At No Excuses we have a vision of building a fit community. 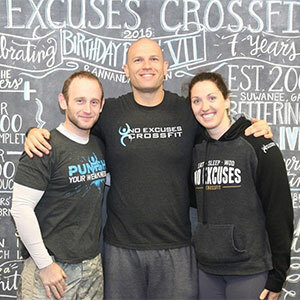 No Excuses isn’t just a gym or a place to train, it is a thriving community of people all making positive changes in their lives, in their health, and in their quality of life through CrossFit. At No Excuses everybody is welcome, and despite their starting level of fitness or long-term goals, we’re on board to help achieve results. No Excuses workouts are constantly varied and consist of functional movements that mimic daily life or sports to improve the functionality that gets you through the day. CrossFit’s sweet spot is in the intensity of the workout—working hard for a short period of time—as this achieves results. We seldom repeat the same workout, but when we do it’s so we can track our progress, smash fitness goals, and create new ones. CrossFit is a strength and conditioning program that combines gymnastics, cardio and weightlifting. Classes or Workouts of the Day (WODs) generally last an hour and are programmed for constant variation, high intensity and functional movements. Our programming aims to help our members improve their capacity in the ten components of fitness: cardio-respiratory endurance, stamina, strength, flexibility, power, speed, coordination, agility, balance and accuracy. The results are a lifestyle of physical fitness and increased vitality.